Enables to reset password security from secured PST files. Unlimited password protected PST files can be unlocked. Unlocks password from both ANSI and UNICODE PST files. Lengthy and multilingual password can be removed easily. MS Outlook installation not necessary for password removal. PST Password Unlocker is an effectual utility that crack the password from secured PST files and turns them in an unlocked form. MS Outlook PST Password Removal software offers the facility to remove passwords from multiple PST files. Select all the files from which the password is to be removed and the tool will unlock and reset password in a go. PST Password Recovery will crack the passwords from all the PST files, even if the passwords are old. The software will reset the passwords without any issue. Be it multilingual, lengthy or old password, PST Password Remover will unlock passwords from PST files without any hassle. Once the password is removed, the PST files will be unlocked and new passwords can be applied to secure them. Recover Outlook PST Password supports removal of passwords from PST files of all the Outlook versions. Both ANSI and UNICODE PST files can be unlocked with the help of the PST Password Retrieval software. Recover Outlook PST Password is supported on all the versions of Windows OS. The software gets easily installed and runs flawlessly on all the Windows operating system versions. The user interface of PST Password Recovery is very intuitive and user friendly. It poses no problems while working with it. Even a novice can work without any problems or issues. Can I Reset multilingual passwords from batch PST files? Yes, you can definitely crack passwords from batch PST files using PST Password Remover Software, no matter they are lengthy or created in multilingual. Can I remove password from ANSI PST file? Yes, the PST File Password Unlocker supports removal of passwords from both ANSI and UNICODE PST files. Can I put another password on PST file, once the software removes the old password? Yes, once the PST Password Removal Tool bypass the password security and removes the previous password from PST file, new password can be put on the PST file. "We had a lot of old PST files in your office that were password protected. Since they were very old, we were unable to remember their passwords. Recover Outlook PST Password enabled us to unlock all the PST files in a very short matter of time. I am very impressed by the tool and no doubt, it's a very effectual tool." "I had set a multilingual password in one of my very important Outlook PST files. However, after some months, I forgot its password and since it was a very important file password removal was of utmost importance. Recover Outlook PST Password rescued me from the situation by recovering the password of that PST file." 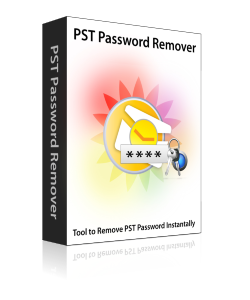 "Lost Outlook PST password recovery becomes so much easy by using this professional PST Password Remover Tool. There are many software available users can opt for but being a Microsoft Outlook expert I tried several PST File Unlocker and found this tool the best PST file password remover. Tool works amazingly."